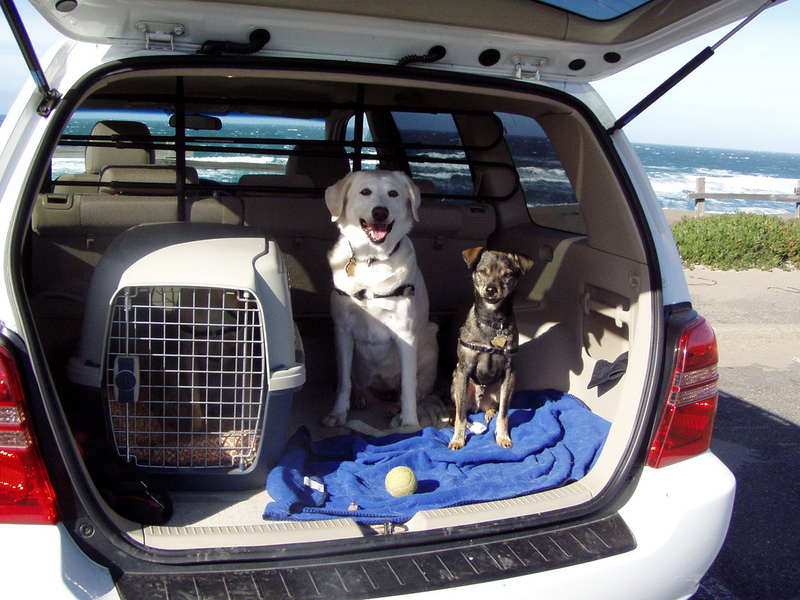 It may be convenient to just toss your dog in the car and go, but is it safe? Unrestrained pets in cars can cause accidents and, like people, are more susceptible to serious injury than those safely restrained. A small kennel with blankets can make a comfy and safe place for your dog to cozy up while on the road. This might not be a realistic option for some people with small cars and large dogs, but special harnesses are available for dogs of all sizes. Unrestrained dogs can also distract drivers, causing accidents. The driver of the van that hit Stephen King in 1999, causing him serious injury and hospitalization, was caused when the driver was distracted by his dog. Our canine friends can be particularly distracting from the front seat. The front seat is never an appropriate place for a dog, not only because she can better pester you from there but also because, like children, the force of a deploying airbag can be fatal. 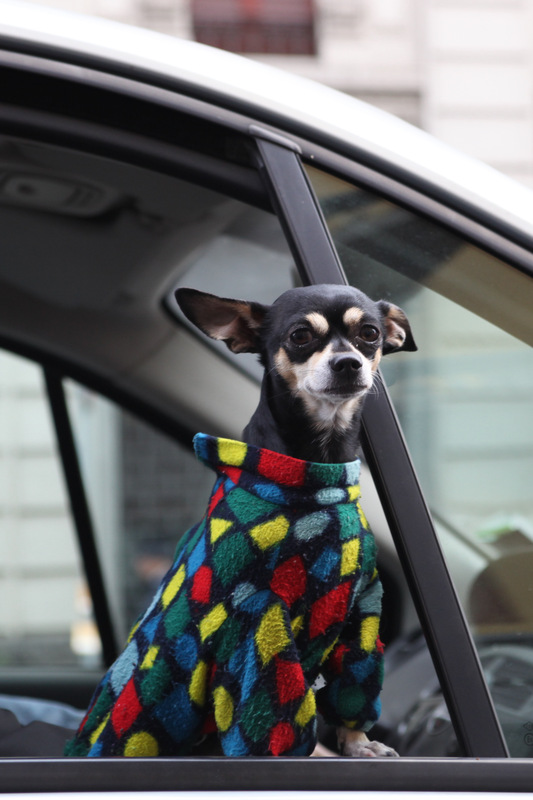 Unrestrained dogs can also stick their heads out the window, which poses threats to your animals health. Humans aren’t even allowed to stick their arm out of moving buses, so why would you let your furry friend stick out their head? Debris could fly in their ear or a branch could poke their eye. They may have fun, but your kid would probably also have fun hanging unbelted out the window. Would you allow that? If you’re going on a longer road trip, feed your dog a smaller meal before heading out then give them snacks along the way, although don’t feed them in a moving vehicle. Bring water from home or buy bottled water so your little guy’s tummy doesn’t get upset. Bring bedding and toys from home to help comfort them. A comfortable dog will be quiet and more pleasant to drive with. A dog’s life isn’t only in danger when the car is moving–leaving a dog alone in a car can be risky too. On a hot summer day would you leave your child unattended in the car? No? Then why would you leave your furry buddy? That lovely fur coat makes staying cool in a stuffy car impossible and many dogs die when their family leaves them alone. Even if the weather was cool, you probably wouldn’t leave a child alone in a car–what if someone stole the car with that child inside? If you’re going in somewhere your pooch isn’t allowed, drop him or her off at home first. Car safety may not be convenient when it comes to dogs, but it’s important in keeping your pet, yourself, and other drivers on the road safe.